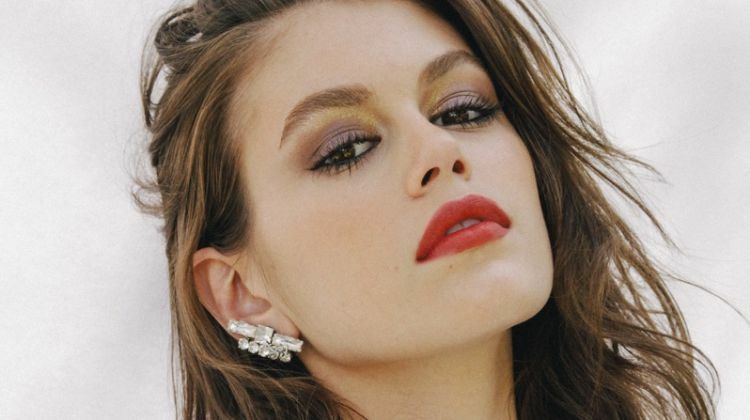 Dior started off Paris Haute Couture week today showing off retro silhouettes and bold makeup for a strong spring 2011 showing. Voluminous shapes were accessorized with cinched waists, airy hats and decadent masks. John Galliano gave a runway show of utmost opulence and glamour. 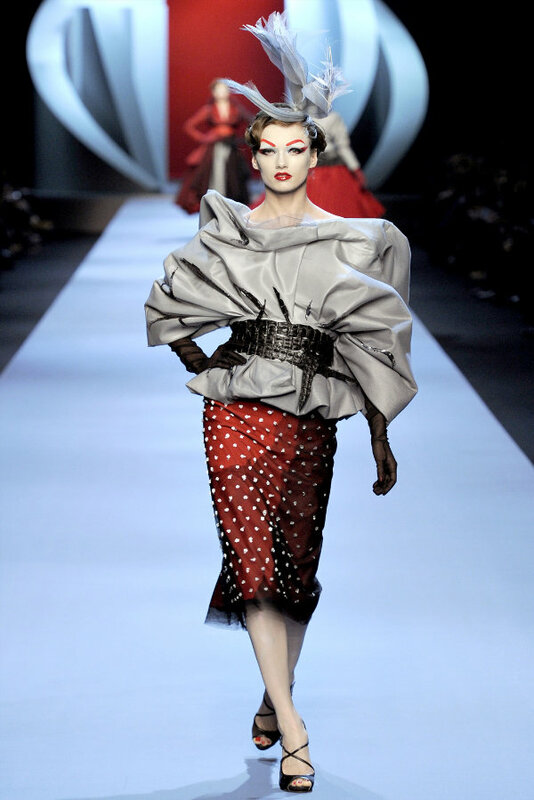 I think Galliano is a true master of couture and on a different note, Daphne looks stunning in this makeup. 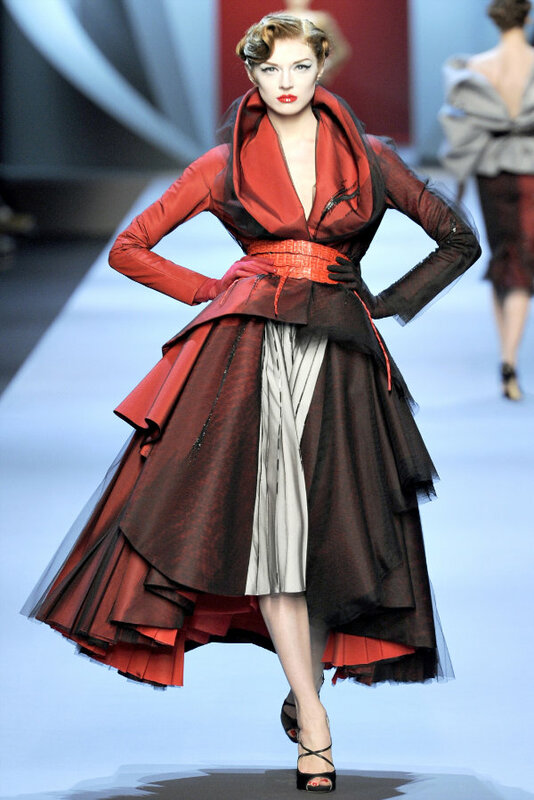 Its grand, glamorous, over-the-top – everything Dior and Galliano stand for. 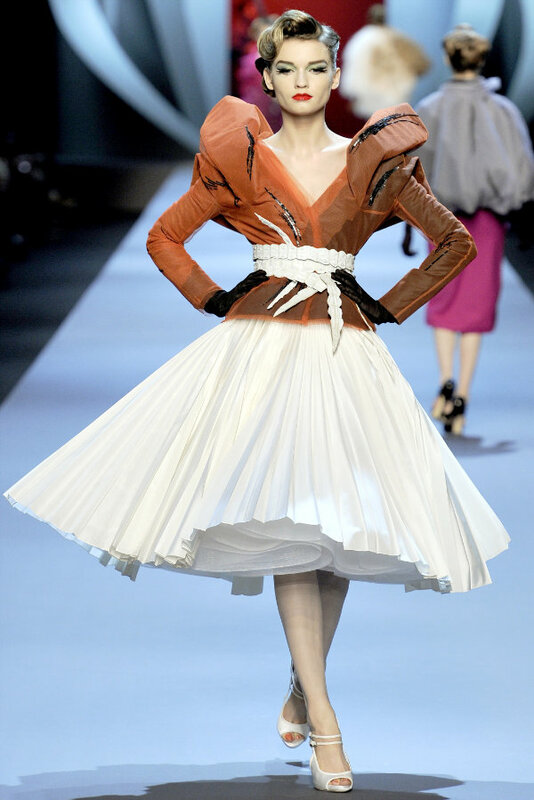 galliano has been using the same silhouettes and materials in the same combinations for practically ten couture seasons. only the colour palette changes once in a while; here, the first few red looks to open were so extremely promising, but then it turned into the same old, same old cutesy pastel stuff. (see, the requisite leopard print also makes its appearance again.) 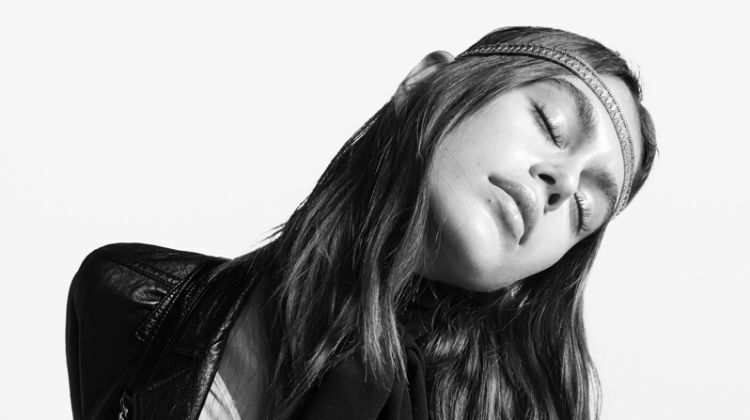 perhaps a million variations on new look is what sells well for dior couture. actually, that sounds pretty plausible. for all that, the collection is beautiful. nothing ground-breaking from galliano, but at least he does what he does well. as a fan, i just miss his insane, almost hysterical couture from his first shot in 1997 to the early 2000s. ah well. I do hope one day he steps out of his comfort zone and creates something truly Extraordinary! I would agree with this IF she didn’t look so good doing it. I like the gloves that are matched with the sleeves. Must. Copy. 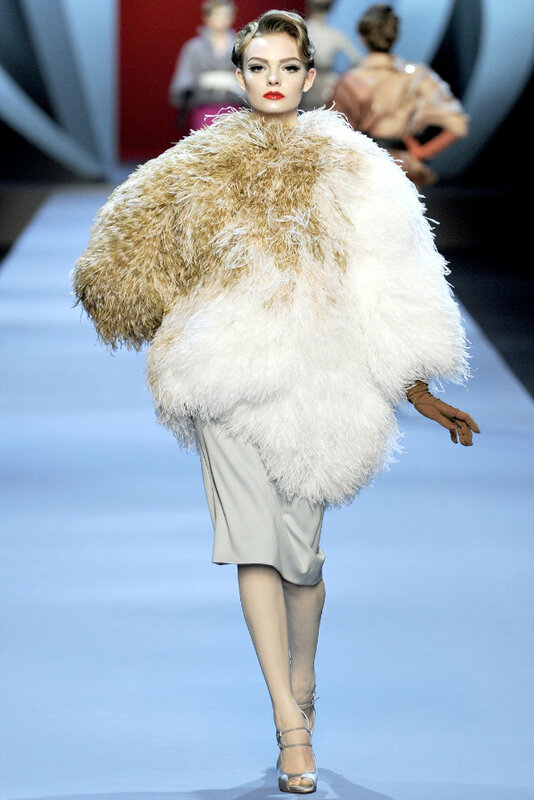 John Galliano never ever disappoints! Goregous collection, but it feels like a Fall collection, not a Spring collection. I do agree, that although the collection is very beautifully made and everything is gorgeous, it is very much the same of what we see in each season. The silhouettes and the textures and styling are VERY similar to what we’ve seen before. Granted, it’s still a BEAUTIFUL collection. I agree about Vlada! She’s a great Dior woman in my opinion. Its all the same old thing. I cant tell what is new with Dior. Nothing! Amazing, and completely Dior glam. I can tell Karlie most have ripped the runway! the collection is not very economic. it will not sell and in this economic crisis, designers should not plunge into such grandeurs. and that flatters a woman’s body.